Bentley ARLFC have suspended the individual responsible for the Snapchat video which overshadowed their exploits in the Coral Challenge Cup. 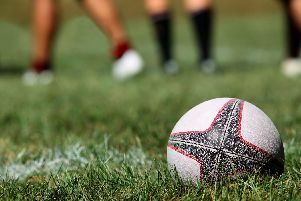 Bentley lost 36-0 at National Conference Premier Division side West Hull in the second round on Saturday. Around 200 fans made the trip from Doncaster – and despite the result enjoyed the day. It is understood the person responsible had been at the ground watching and not playing. Bentley addressed the issue on social media on Sunday and published another statement on Tuesday, which said: “The individual involved has been suspended, with immediate effect, for 12 months (6 months of which is deferred) from playing for either open age side. “Unfortunately due to our facilities we don’t have the power to ban the individual from the public arena. “He has been warned of his conduct as a spectator should he be seen at any game from junior games through to first team. “We as a club will be supporting him and he will be integrated back into playing on completion of his suspension. “The individual in question has asked us to release a short statement: “I apologise unreservedly for any distress caused by my actions on Saturday. “I understand that my actions have put my club in bad light and for that I apologise to all the players and supporters at the club. Reflecting on the rugby, head coach Andy Whitfield praised his team. “They gave it their all and showed plenty of spirit,” he said. 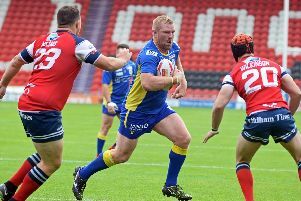 “West Hull were just too good for us on the day but I've got nothing but praise for my players.